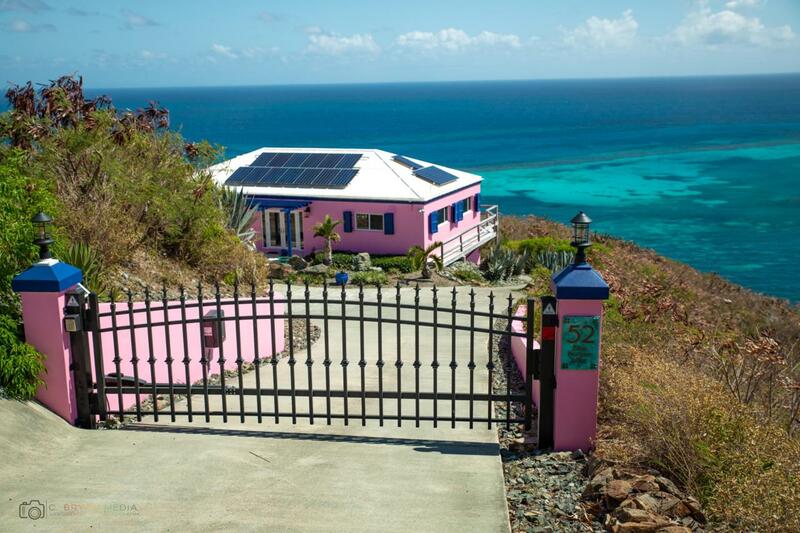 Featured on HGTV's ''Caribbean Life'' come enjoy dramatic sea views at Blue Horizon Villa! 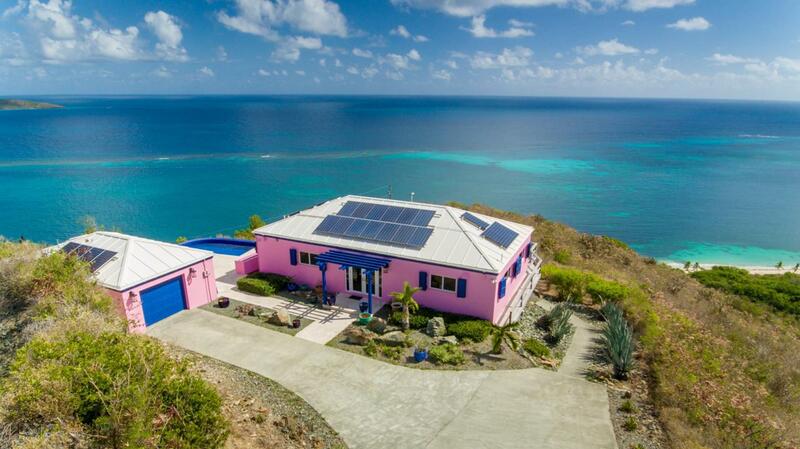 Ideally situated on 3.5 acres of ridge line at the east end of St. Croix, the villa overlooks the turquoise waters of the Caribbean Sea from horizon to horizon. 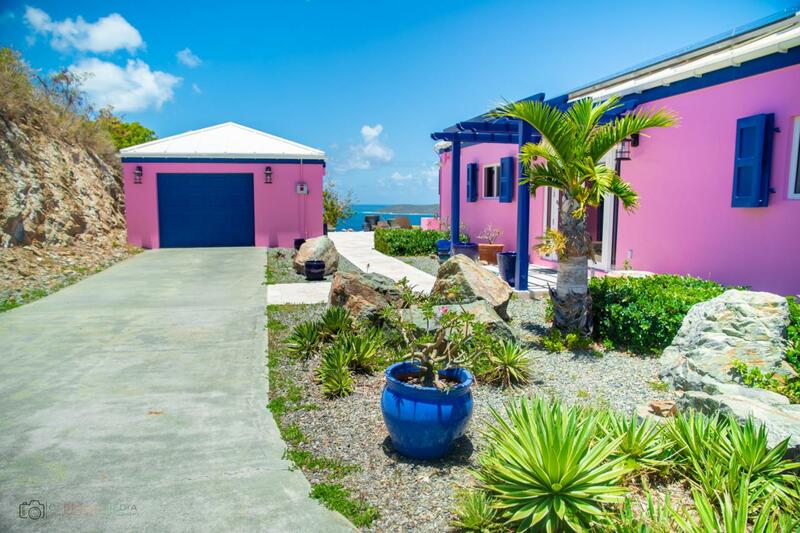 Walking into the villa you are stunned by the bright and open architecture, wood vaulted ceilings and industrial chic decor. The gourmet kitchen opens into the great room which provides ample space for entertaining guests. The master bedroom along with the guest bedroom are on the same level. The downstairs bedroom has a private entrance along with a kitchen & large closet space, perfect to rent out or keep for visiting friends. 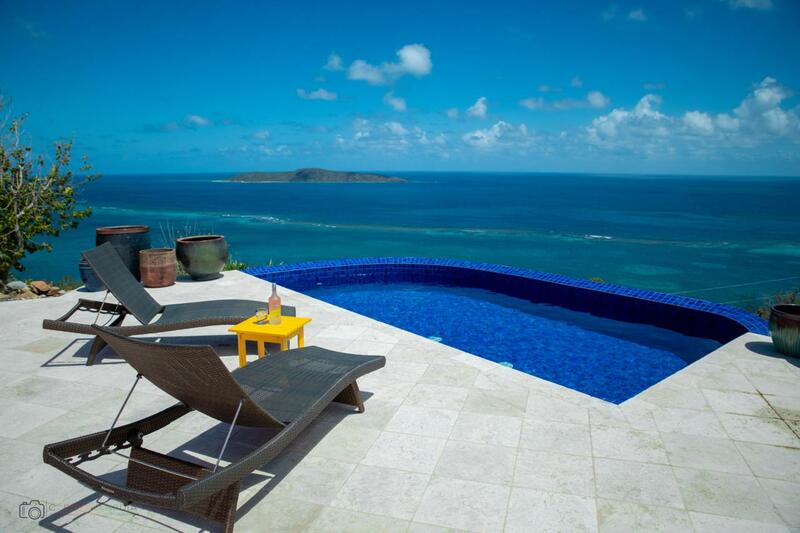 The brand-new saltwater pool offers seating which looks out towards Buck Island and our sister Islands, St. Thomas.